Tim Fendley, Applied Wayfinding, is one of the world's leading experts on urban wayfinding. 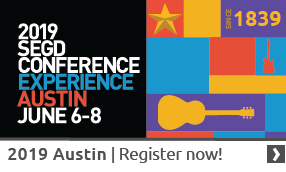 He'll keynote at the SEGD Wayfinding Workshop April 23 in San Francisco. 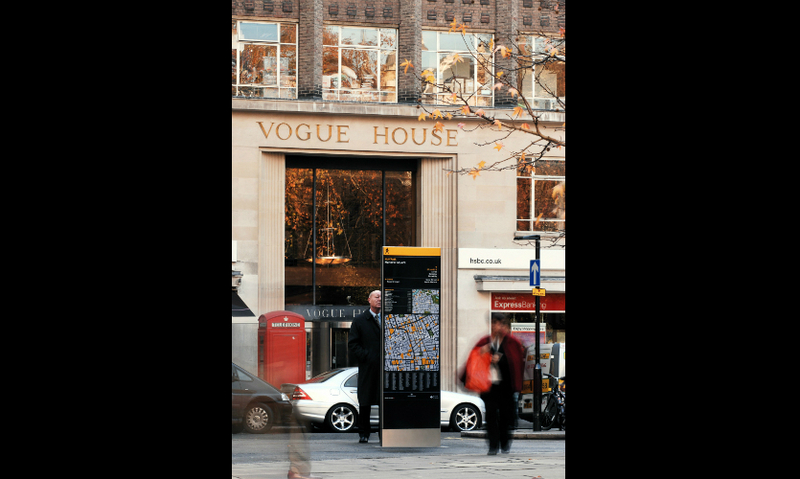 Legible London was launched in 2007 and is now used more than 1 billion times a year. It has become the global standard, duplicated in different guises around the world. 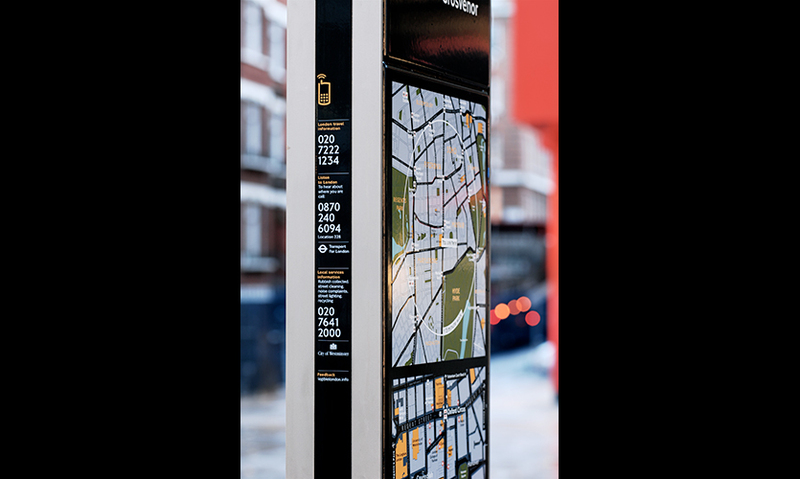 With its clear hierarchy and consistent features, Legible London streamlines and clarifies the information pedestrians need to plan their journey. 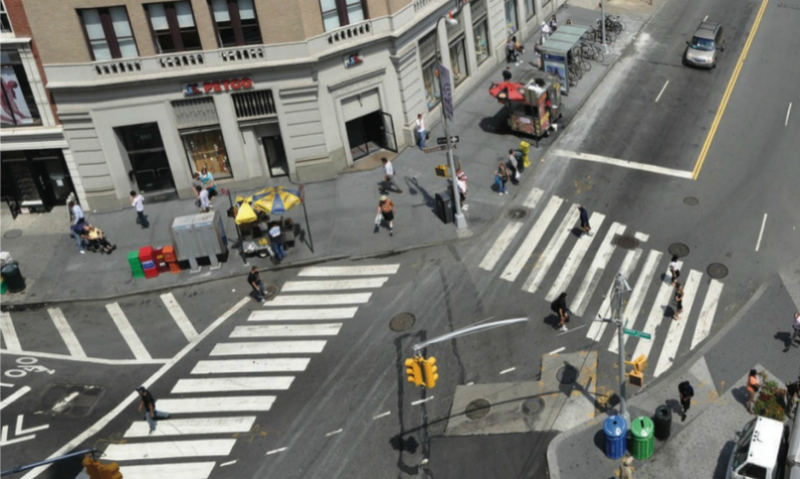 Mapping designed for pedestrians is key to helping people navigate the city. Legible London monoliths are designed to accommodate WiFi. Future urban navigation systems will hook into Smart Cities data networks. Where have you landed? In an age of global sameness, differentiation and local flavor will be increasingly important. 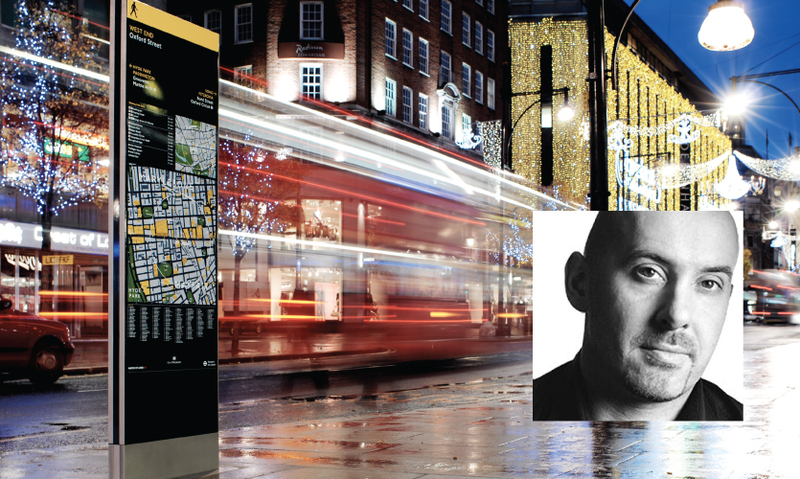 Tim Fendley, founder of Applied and chief designer of Legible London, predicts that navigation in city centers will change dramatically in the next 10 years, with place branding, urban planning, and technology as key drivers. He'll join other world-renowned wayfinding experts at the SEGD Wayfinding Workshop April 23 in San Francisco. 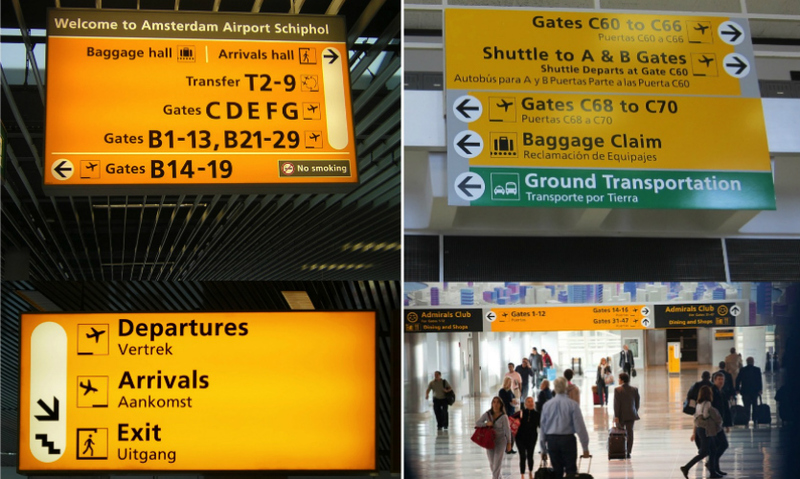 Do you need to be in touch with the future of wayfinding? Find yourself there; register now!For a city, a decade is but a moment. But in design a lot can, and does, happen in 10 years. A decade ago, a team of information designers sat down to think about an open wayfinding brief from an organization representing the center of a world city. 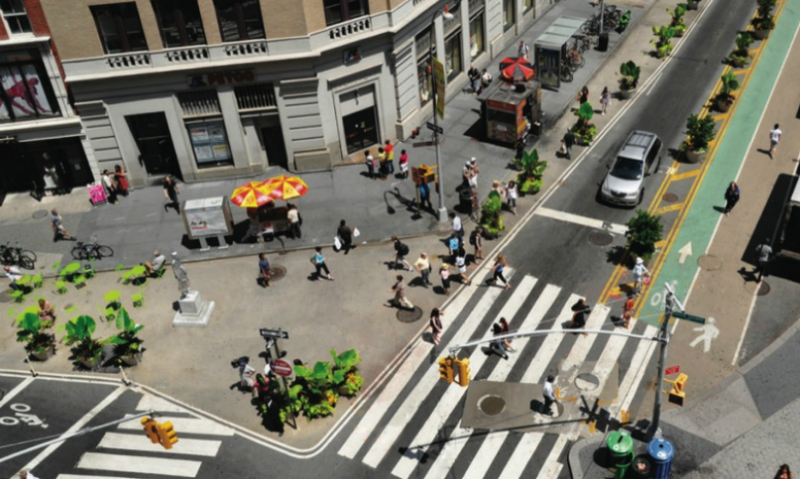 This followed a report by Jan Gehl Architects, for the same organization, focused on the need to activate and pedestrianize the center of cities, to give the city back to walkers. Many of the Gehl recommendations were implemented: city squares given a new lease of life; pavements widened; al fresco dining; and street activity encouraged. Many might be unaware of the catalyst, but most have felt its impacts. The brief identified the confusing and general lack of guidance for pedestrian information. It requested a set of “guidelines.” The organization was the Central London Partnership, led by Pat Brown. The information designers were at Applied and we called our response Legible London. I think by now you can guess the city. Our response was not a set of guidelines. No matter how well designed and written, guidelines would have minimal impact. The response was guided by three core observations. First, cities have complex management systems: central government; mayor(s), boroughs; representative organisations (BIDs, BIAs); and more. Second, information for pedestrians was delivered by all of the above and there was little or no coordination among them. We found 36 wayfinding systems in the central area alone. And third, people—the users of the information—want to learn one system and one system only. We found 4% of people using the 36 systems and 44% using the London Underground map for walking. Almost everyone buys into the tube map, even for something it is plainly unsuited for. We proposed the city needed a system, not guidelines—a system that would present a single way of doing things for its users, the people walking around London. In the process, we would design the best way to impart complex information by using human geographic cognition, we would develop a legible language, and we would set up methods to allow all the city’s organizations to play their part. Ten years later and the response we made that day has, like Gehl’s ideas, largely come to fruition. 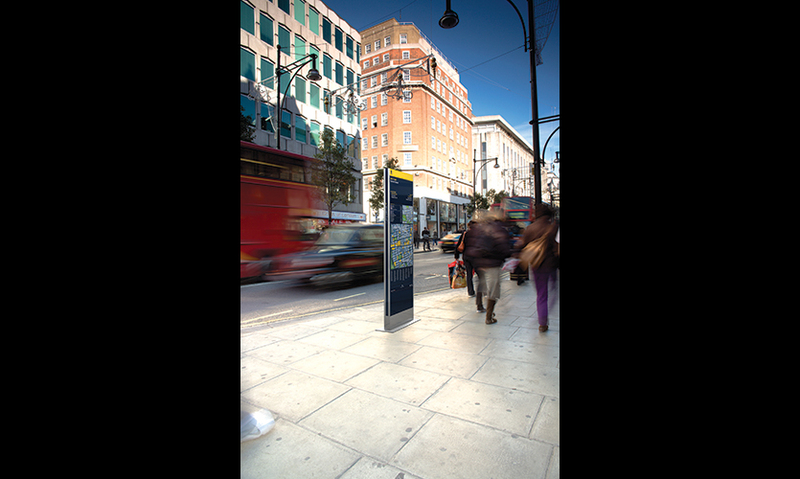 There are more than 1,200 miniliths, midiliths, and monoliths on London’s streets, located at key junctions, outside tube stations and on main routes. Legible London appears on bus shelters, on 600 cycle hire stations, on billboards, and in print. It was the system for the 2012 Olympics and has been adopted and is run by London’s transport organization. It is official. The system has gone through the most rigorous testing and at every turn its impact and benefit to the city has been proven. It is used more than one billion times a year. Its return on investment is around the heady ratio of 5:1. For a transport system, 2:1 is powerful. It has gone beyond London’s boundaries. 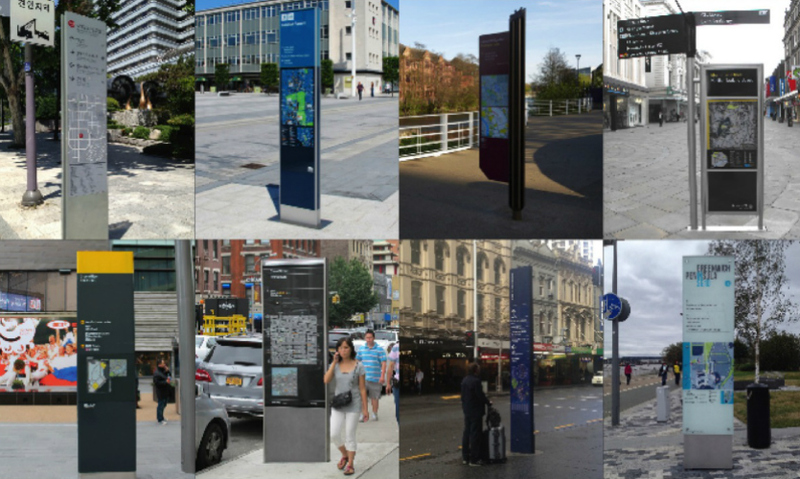 Legible London-inspired solutions have popped up in Sweden, China, Australia, the U.S., Canada, and Russia, as well as across the UK. They all have similar beacon-style units featuring to-scale maps and heads-up orientation (of course), with integrated directional information. It has become a global standard. A great British export. But here’s the rub. Aspects of the architecture of the system are fundamental, and some need adjusting to suit the environment. Considered thinking, planning knowledge, and expertise are required. My concern is that many of these imitations are simply that, and the global standard is limited to look and feel. I see this as the first wave of Legible Cities, and the field will mature. In a decade, Legible London has gone from a glint of an idea to a global standard (of sorts). I think six things will impact its influence over the next 10 years. We have all benefited from global tools: Twitter, Facebook, Google Maps, and many others. They share a knack. They are the same wherever you go. One of the real differences we encounter every day is our environment, the places we live and work and travel to and through, and even here global brands such as GAP, McDonalds, and Starbucks are creating replica High Streets. I believe the differentiation and distinctiveness peculiar to places will have more, not less, importance in the digital age. Events, unique gatherings and face-to-face meetings will become more powerful. And local flavor, accent, and attitude will be ever more sought after. The response will be to represent this difference at the city level. Its character will come out through language, local knowledge, and place names. Cities have city-wide transport systems for good reason. They will have wayfinding systems to match. The fundamental methods created with Legible London will be used wisely and interpreted in each city. This means local character and identity will come through but using a method that we all learn to understand. In 1961 the designer Herbert Spencer walked a route from Central London to London Airport (now Heathrow), documenting road signs, and highlighting in Typographica 4 magazine the confusions and sometimes dangers of unregulated and “non-designed” roadside messages. Two years later the issues he raised led two designers, Jock Kinnear and Margaret Calvert, to create an information system for UK roads. It standardized the appearance of all signs throughout the country and still lives today. It has informed many other countries. Consistent look, purpose-designed typefaces, and defined sizes (relating to road speed) were indeed advances. The more significant innovation, however, was that the system established a national use of progressive disclosure. It demanded a reduction in visual noise by limiting use of agreed symbols and names, and it defined rules for where and how signs are placed. These innovations are harder to spot for the non-information planners among us, but they are crucial and they work. Forward to today and Richard Simon, my colleague at Applied, walked the same route as Herbert Spencer to see how 50 years have treated the system. The visual guidelines and the layout remain. The typeface is timeless. However, the system has been infected with interference: a proliferation of new signs. All were designed within the guidelines (which is good), but the principle of simplicity is being lost. Safety demands a minimal amount of information. We now face an essay at almost every junction. Such planning rules are not as visible and therefore it is harder to know if you have got them right. Over the next 10 years their importance will become more understood and better debated. Their terminology will be defined and it will demand that cities have more expertise to manage them. >>Tim Fendley will join other world-renowned wayfinding experts at the SEGD Wayfinding WorkshopApril 23 in San Francisco. Join him there! The idea of a seamless journey is central to Legible City thinking. Delivering it with hundreds of touchpoints is a different matter. Thankfully, the last few years have seen a dramatic opening of data for public use. There are rivers of event, activity, and transport data linked to locations, and this flow will strengthen in the era of Big Data. Add in that soon we won’t have to worry about getting an Internet connection, or paying for it. All Wi-Fi will be free, roaming charges long gone. The future is one of connecting people to places to data, and at the same time delivering a common picture of a city. We envisage intelligent systems to connect the physical world with the digital: one system to allow the city’s organizations and businesses to communicate in a common tongue, via whatever medium is requested. With this approach we can ensure that quality is high, cost is low, and data is live. In a word, smart. Looking good is not the same as being good. Legible London’s functional architecture has been copied many times. It is pretty robust and will deliver in most cases. But I wonder how many times the architecture has been understood, and delivered to suit unique places. The future will see more respect, time, and effort to craft and manage the background data and system architecture. This will take expertise and organizational responsibility. More time will need to be spent evolving the system to adapt to inevitable changes in the city, not just leaving the system to fend for itself. We will have central control systems and people in roles to manage these. In the UK during the early 1990s, the field of “urban design” gained traction after a slow burn from its modern emergence in the 1960s. There was a continuous need to explain to clients, mostly city governments, what urban design was and why it was important. It was rare a city had an urban design officer; now every local authority has. The field has matured, with representative organizations and its own language—defining it as a profession. Wayfinding will also grow as a profession. We will grow our language, develop accepted models, find our own organs of communication (of which the Society for Experiential Graphic Design [SEGD] is the founder), and we will establish the domain, located between urban and information design. City wayfinding systems will be run by wayfinding officers and there will be management teams, and roles and structures, not just consultants. Wayfinding hasn’t had a home. It can belong to the marketing department, the visitor information team; is it a part of the streetscape manual? Projects are sometimes initiated by the heritage team, by local business organizations, or by developers. Should it be run by the transport authority or the city planners? The result is that budget is the driver, and budget can come from any, and sometimes a collection of, these departments, organizations, and sources. Legible Cities will move away from begged and borrowed budgets with, invariably, a focus on capital expenditure, the initial build and launch event. They will move to economic case-driven, multiple agency-funded schemes that are wide reaching and revenue funded from the heart of local government. Over time, the failures of the “look good but can’t afford to manage it” solutions will give way to clients and cities that demand longevity, flexibility, evolution, and control. Legible Cities will become an essential part of the transport and visitor information systems of the city, funded by pooled resources from all interested and dependent parties. Legible London has made real the concept of a Legible City and has set a global standard. This is currently focused on the interface. The next iteration will see the architecture of the idea being used to its potential. I think there will be a renaissance of city coordination. 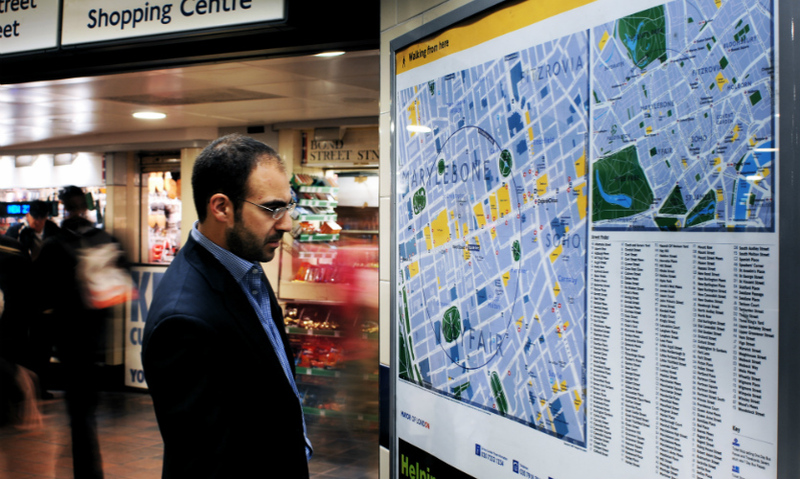 Wayfinding standards will rise and more people will find cities easier places to wander and walk. Our vision for Legible London was to enable people to explore, enjoy the city more, and have the confidence to get lost. No matter where they found themselves, they could find the help they needed by simply reaching out. How good will it be when we can travel to any city and have the same right to roam? --Tim Fendleyis the founder of Applied and the designer of Legible London.He designed Bristol Legible City and drew the strategy for I Walk New York. He has recently set up Living Map Company to realize his vision for legible mapping.